Since the theme is about the endangered species, I wanted to add some species who we affected with our destruction and mess. Whether it is throwing trash in the ocean, destroying any environment or hunting, we don’t notice the damage it does towards the animal. 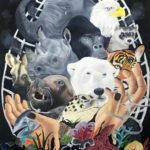 That is why I wanted to present a piece that shows how and why animals are endangered. ← Florida is home to me and many others, including different types of animals. This is what makes Florida an amazing place; just seeing all the variations of animals and plants. It is like a very large family, and just like a family everyone should help others in need, whether they are human or animal. 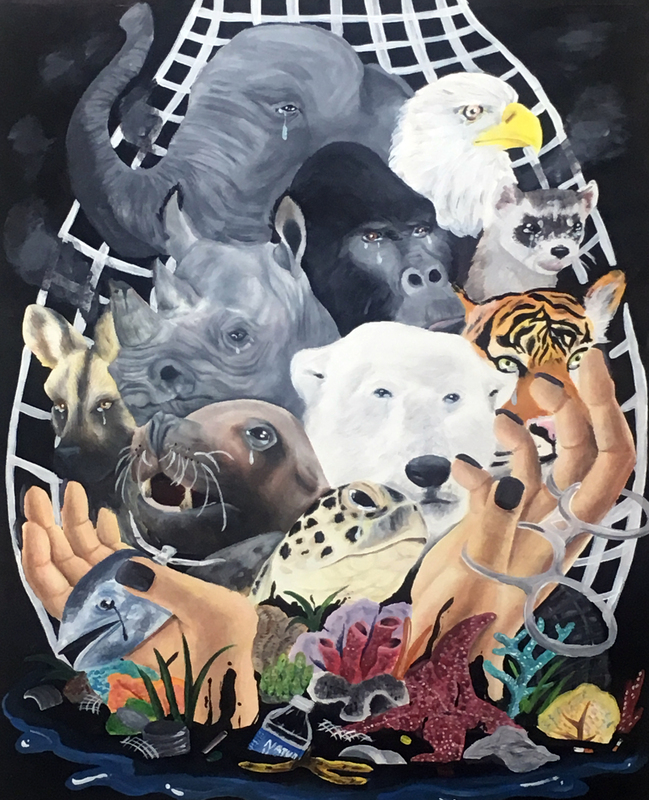 We help many animals get out of being endangered and I hope drawings like these persuade more people to help many other endangered animals. Florida is the home of many animals who need help and we are here to help them.